As part of natural treatment options for Hidradenitis Suppurativa, some patients can find relief using various soap and lotion preparations. Here, I will present a few options for you to consider if you have HS that may be helpful to you. Hidradenitis suppurativa is a condition seen where patients suffer through painful acne pustules found around areas where their skin is in contact with other skin borders such as your armpits, groin area or when patients have excessive body fat . Hidradenitis suppurativa treatment is needed to help manage these symptoms, but unfortunately, the effectiveness of these interventions is not always guaranteed. Even definitive therapies like surgery or laser treatments can lead to relapses in HS so patients do get quite frustrated with the condition. Some supplemental therapies that patients may benefit from would be using zinc for hidradenitis suppurativa or some of the other natural treatments for hidradenitis suppurativa that may help alleviate some of the painful flare-ups. Topical dermal soaps could be another potential benefit for these patients and they will be the focus of this investigation. 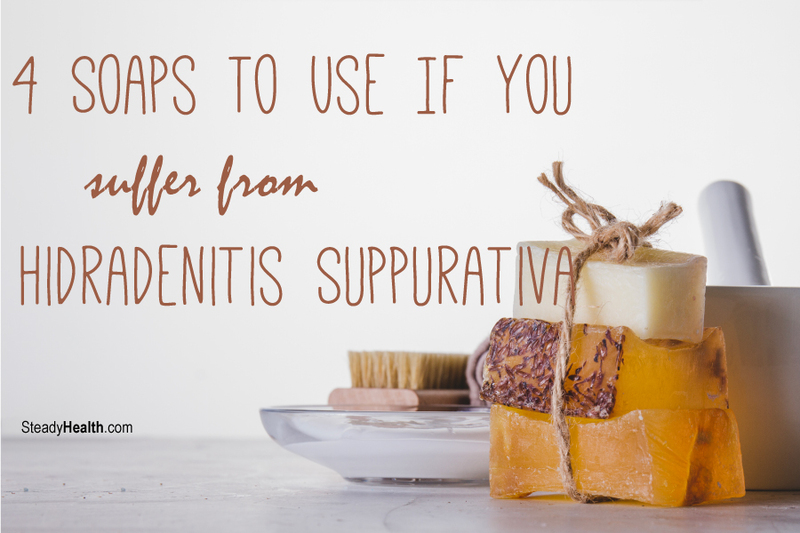 In this article, we will highlight what soaps should you use if you suffer from hidradenitis suppurativa. The next one of many soaps to use if you suffer from hidradenitis suppurativa could be Dove Soap. The main active ingredient in this type of soap is Sodium Lauroyl Isethionate . This compound was once thought to be dangerous to the general population but repeated studies have been unable to link this compound to any hazardous effects. Sodium Lauroyl Isethionate is commonly found in the many of the anti-bacterial soaps that we use in modern society, like Dial White for example. Dove soap is similar to Dial but users claim that not only will you have the same anti-bacterial properties of most soaps, but it also has the added attractiveness of having a nice aroma. The last type of soap that we will consider for a natural treatment for hidradenitis suppurativa goes by the name of Pinetarsol, which is a type of substance that has been used in a number of dermal diseases. It is a fluid based on pine tar. If you are skeptical about putting sap on your skin, consider that this is a treatment that patients have been using for skin conditions for over 2,000 years. The theory behind why this could be effective is because pine tar is known to reduce DNA synthesis and mitotic activity, which prevents glands and skin from becoming overactive, like in HS so that flare-ups will be less likely. Because of this, there are many skin conditions that patients can use this preparation for, and some of the more common conditions are dermatitis, psoriasis, sunburn, hives and other dry, itchy or flaky skin conditions . All in all, soaps we have presented provide some opportunities for patients suffering from HS. Although the medical support may be lacking for a few of them and a lot of the science is based on anecdotal cases, there are some soaps that patients praise. What Are The Side Effects Of Low Dose Prednisone? Did anyone else experience weight gain on Forteo? Steroids in children and health consequences? Red bumps on inner thighs ?